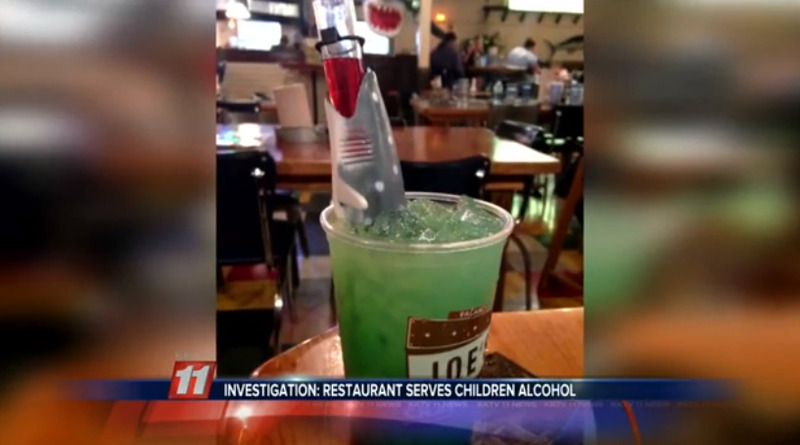 A Joe’s Crab Shack in Colorado accidentally served hard alcohol to six children, KKTV reports. The children, ages two to eight, were supposed to receive a sweet blue drink called a “Shark Nibble,” which the Montoya family had ordered off the kids’ menu. 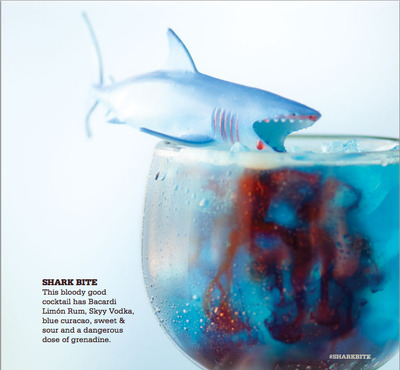 But instead they were served the “Shark Bite,” which is a cocktail loaded with rum, vodka, and curaçao. The mix-up might have occurred because the children’s “Nibble” is not very different from the adult “Shark Bite” version. Both kinds of drinks are blue and served with grenadine and shark toys. The main difference is that the “Nibble” is served in a plastic cup while the “Bite” is served in a glass — oh, and the latter also contains a whole bunch of alcohol. Via KKTVThe Montoya family didn’t suspect anything was wrong, because the drinks were served in their usual plastic cups..
“Then the managers actually came back with the tray of drinks and then let us know that they had accidentally poured alcohol into our kids’ beverages,” Omar Montoya told KKTV news. Paramedics were called when one of the children said she didn’t feel well. Fortunately, all six kids were fine and were sent home after a quick check up. Joe’s Crab Shack is aware of this incident at the Colorado Springs Location, and we are investigating this matter internally. We do not condone underage service of any kind. Our guests can rest assured that our processes are continuously examined so that incidents like this are avoided.